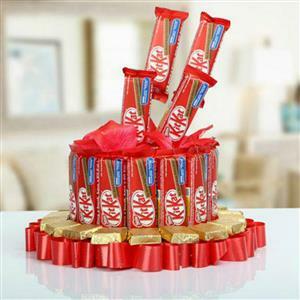 Send Round Kitkat Cake to Chennai. Gifts to Chennai. Send Cakes to Chennai. Description : Nestle KitKat Chocolates - 20 Pcs The image displayed is indicative in nature. Actual product may vary in shape or design as per the availability.